Espresso, done right, is simply wonderful. However, not many people know what it really is, how it’s made, or even what it should taste like. We’ve all been lured into a haze of misunderstanding and misinformation by the likes of Starbucks, Nespresso and countless other brands looking to make espresso easy and cheap. Don’t take the bait. Firstly, “espresso” is not a type of coffee bean, or a type of roast. 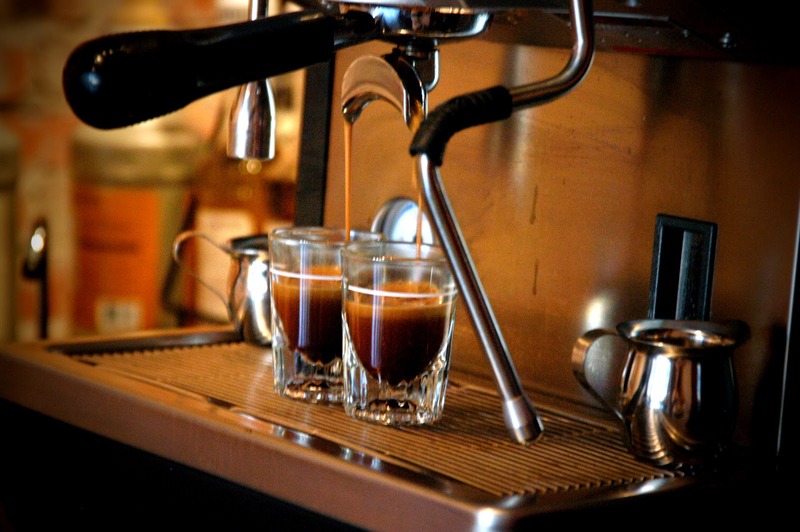 Espresso is simply a method, a way to brew coffee. In fact, any coffee can be brewed as espresso—though it is very important to note that some types taste better than others. The reason you see bags of coffee labelled as espresso is either because its contents are pre-ground to a fine size that suits espresso brewing, or it is a blend that has been crafted to create a balance of flavours when brewed as espresso. Secondly, the word itself means, “express,” which is ironic considering that the perfect espresso is not so quick to find or quick to make as it is a very involved brewing method. To brew great espresso, a confluence of events must occur that marries human judgment with mechanical precision. It starts with decisions made by the roaster. Will they be making a blend of different coffee types to create a balance of flavours, or will they use a single-origin bean to highlight an experience unique to that particular variety? The grind size will vary based on characteristics of the coffee such as age, bean variety, and roast-profile. So, an espresso is a small, concentrated coffee beverage, two and a half ounces or less for a double espresso, served in a demitasse cup. It has both a liquid and a foam element (crèma). It is made using a specialised machine that forces hot water through finely ground coffee that has been compacted, the force of the water being spent in the coffee cake. It takes twenty to thirty seconds to percolate the water through the coffee cake (or “puck”) which is held in a portafilter “coffee handle”. It is judged by its appearance, aroma, mouthfeel (body), flavour and aftertaste. A more technical definition of espresso by Ernesto Illy is as follows: “An Italian espresso is a polyphasic beverage prepared from roasted and ground coffee and water alone, constituted by a foam layer with a particular “tiger tail” pattern, on top of an emulsion of microscopic oil droplets in an aqueous solution of sugars, acids, protein-like materials, and caffeine, with dispersed gas-bubbles and solids … The distinguishing sensory characteristics of Italian espresso include a rich body, a full fine aroma, and equilibrated bitter-sweet taste with an acidic note, and a pleasant lingering after-taste, exempt from unpleasant flavour defects. For many, espresso, and coffee in general, is purely functional. A “pick-me-up” so to speak. Obsessing over things like mouthfeel, crèma colour, and grind size will always seem ridiculous to the vast majority. However once you get a taste of a truly remarkable espresso, it’s hard not to seek more.